We are a family business that was set up in 1995 to specialise in the reconditioning and repair of all diesel fuel injection equipment, from the earliest fuel injection systems to the latest common rail technology. 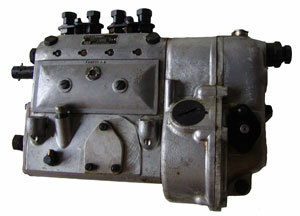 We can recondition your pump and injectors in-house to meet manufacturers' specifications. If we find that your unit is beyond economical repair, then we are able to offer highly competitively priced service exchange units. In our fully equipped facilities we are also able to offer a removal and refitting service. We can repair and service all types and makes of diesel fuel injection equipment from the 1930's (including obsolete equipment) to modern common rail fuel systems. In addition to cars and commercial vehicles, we have experience of working on agricultural, plant, train and marine applications. Whether you have an old tractor that won't start, or a brand new diesel vehicle with a problem, we can equally and confidently address your fault. Peter Strong (right) with specialist engineer Rick. Our fully skilled and apprenticeship served engineers, with over 38 years experience, have a vast working knowledge on the majority of all manufacturers' diesel vehicles, so we are familiar with the most common vehicle-related faults. Therefore, a specialist service is not necessarily more expensive as we can save you time and money by going directly to the root of your problem. Fully equipped Common Rail Test Shop. Full Testing and Repair Service for all types of Common Rail Injectors and Common Rail Fuel Pumps.We can remove your pump and/or injectors from your vehicle for test/repair,or you can remove the units and deliver to us for test/repair. For Competitive pricing and fast turn around call now. Vehicle Servicing - Anything from a pre-winter check to a major cam belt service. M.o.T.s - We will carry out a pre-M.o.T. check and make all your M.o.T. arrangements. Mobile Working - We offer an on site service and can arrange vehicle recovery when necessary. Electrical Units - We repair, recondition or exchange electrical units. Spares - We stock a large range of associated fuel injection items and if we don't stock it we can usually supply within 24 hours. We also stock the most frequently required electrical components. Do call us on 01189 832 217 to discuss your requirements and schedule the work or click here to email us. We take cash, credit and debit card; we accept cheques by prior agreement only. Account facilities available. 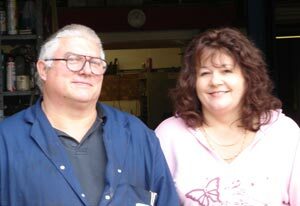 We provide good service, as a result our customers keep coming back and are happy to recommend Peter Strong. Click here to view some customer testimonials. We are based at Grazeley Green, which is near Reading in Berkshire. We are close to the M4 motorway and the A33 Reading - Basingstoke trunk road. Click here for maps and directions.